Scharner is the intellectual loon that plays anywhere he damn-well wants for West Brom. 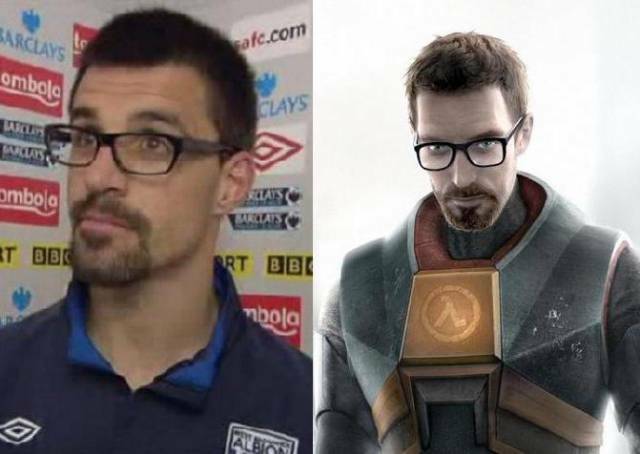 Freeman is a character from Half Life – a computer game with which I am not familiar, though I am heartily reassured is ‘epic’. Spotter’s Badges apiece for Pies readers Schlup and Simon Cave, who both submitted this beaut after Match of the Day on Saturday night.